Global nutrition firm Glanbia has announced its expansion in the supplements space with the acquisition of US firm Amazing Grass and Dutch firm Body & Fit. 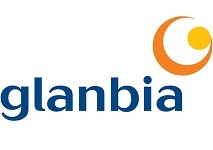 Glanbia said it was investing approximately €181 million to buy the two businesses, which it described as “having a strong strategic fit with Glanbia’s Performance Nutrition (GPN) division” and as allowing it to “extend its reach to new consumers and channels”. Amazing Grass has a portfolio of organic and non GMO brands in the plant based nutrition, “greens” and “super food” categories. The firm is described as offering plant based organic, GMO free products to lifestyle consumers in the natural, online, food, drug and mass channels in North America. Body & Fit, meanwhile, is described as direct to consumer online branded business focused on performance nutrition, with a customer base predominantly in Germany and the Benelux region. It is described as selling a range of over 300 brands and around 4,000 products in total. Commenting on the deals, Glanbia group managing director Siobhan Talbot said: “I’m delighted to announce the acquisitions of Amazing Grass and Body & Fit. Both businesses have a strong strategic fit with Glanbia Performance Nutrition extending its reach to new consumers and channels. Amazing Grass produces a range of natural plant based nutrition products while Body & Fit is a successful direct to consumer online brand. Both businesses have a track record of strong growth and we will continue to invest in their future development”.